PTA has decided to shutdown all night packages on mobile phones. They want to do it early but could not do it but now this time they decided to Shut Down all the Night Packages which includes both the calls and Message packages, so now all the packages will be limited to 7 PM. It is true that our youth is in extreme threat; at least some of them could be controlled after such ban. The Senate Standing Committee on Cabinet Division showed its resentment over delay in the sale of 3G licenses, misappropriation in the universal services funds and late-night call packages. They said night packages and unlimited SMS packages destroying our youth. 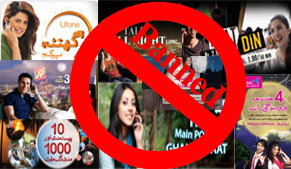 The committee that met at the parliament house under its chairperson Senator Kalsum Parveen on Thursday directed Pakistan Telecommunication Authority (PTA) to withdraw late-night call packages and take action against unlimited obnoxious SMS. The committee also directed the PTA to make all calls on emergency and inquiry numbers free of cost. Previous Asif Zardari worries over Imran Khan popularity decline?